WASHINGTON—Seeking to clear his name following reports that the Trump administration had overruled intelligence officials to grant him top secret security clearance, Jared Kushner held a press conference Friday to assure reporters he had never revealed government secrets to foreign powers without turning an enormous profit. “The implication that I would expose our nation’s most closely guarded intelligence without making serious bank is, frankly, insulting,” said Kushner, explaining that he had always been extremely cautious not to reveal any of the sensitive information he received to anyone but the highest bidder, as doing so could seriously devalue the intel. “We are talking about national security matters with implications that could affect the lives of all Americans, which means I can basically charge whatever I want for it and still have buyers knocking down my door. 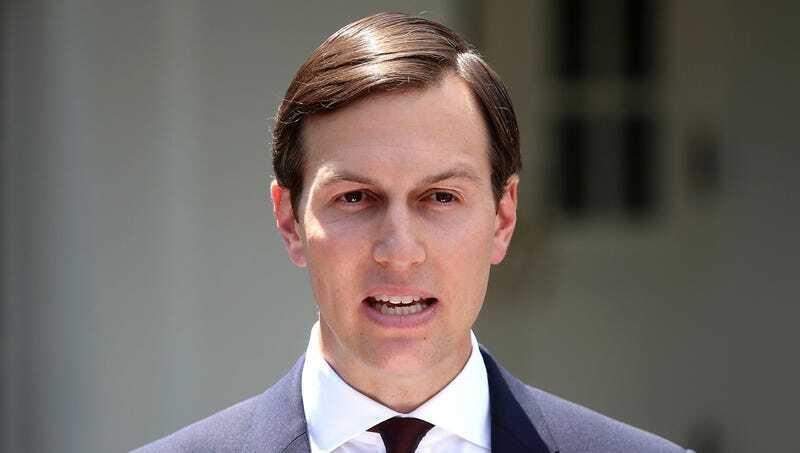 I swear that I always made sure they paid through the nose.” Upon being questioned by reporters, Kushner admitted that he had occasionally been forced to offer discounts for state secrets due to dozens of other administration officials flooding the marketplace.